Key Difference: The main difference between the Oxford and Cambridge Dictionaries is that the Oxford Dictionary is published by the Oxford University Press, whereas the Cambridge Dictionary is published by the Cambridge University Press. 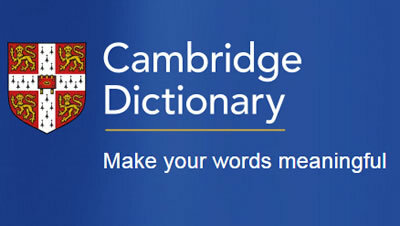 Both Oxford and Cambridge Dictionary are two of the most popular dictionaries around the world. They are accredited and widely accepted even by academic institutions. Each of these has various different editions and versions, which makes comparison difficult and confusing. In fact in addition to various different editions in English, the dictionaries have now deviated into various other languages. However, the basic difference between them is the fact that the Oxford Dictionary is published by the Oxford University Press, whereas the Cambridge Dictionary is published by the Cambridge University Press. The Oxford University Press was started as a segment of University of Oxford, founded between 1096 and 1167, and generally considered to be the oldest university in the English speaking world. The oldest university in continuous operation in the world is the University of Bologna, which was founded in 1088. Similarly, Cambridge University Press started as part of the University of Cambridge, founded 1209, and the second oldest university in the English speaking world; fourth in the world. Fun fact, Cambridge University was started by academics that had to flee Oxford after disagreements with the local. So they moved a town called Cambridge, which was northeast of Oxford, and eventually founded that which was to become University of Cambridge. Despite of the fact that University of Oxford predates the University of Cambridge, the Cambridge University Press actually predates the Oxford University Press. This makes Cambridge University Press the oldest publishing house in the world, yet it is the second-largest university press in the world losing out to the Oxford University Press. 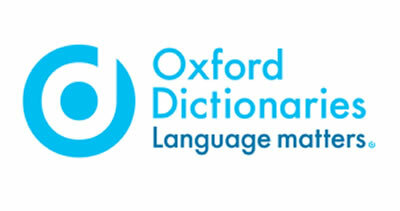 In terms of the Dictionaries themselves, the Oxford English Dictionary is the more popular of the two, and is often considered the authority on the subject. Most people prefer to refer to the Oxford English Dictionary, rather than any other dictionary, including the Cambridge Dictionary. The work on the Oxford English Dictionary started in 1884 when the Philological Society of London decided that the available dictionaries at the time were completely inadequate and covered only a small portion of the English language. Hence, they decided to undertake the challenging task of creating an all comprehensive. Technically, the project is still incomplete as the English language is very vast and constantly evolving. The dictionaries, including the Oxford English Dictionary, need to be constantly updated and modified to include new idioms or slang words, while removing words that have since become obsolete. However, the first complete edition of the Oxford English Dictionary was published in installments between 1884 and 1928, a major feat. Another difference between the two dictionaries is the that the Oxford English Dictionary is a historical dictionary, which means that it has historical words and meaning which are no longer in use. However, most other dictionaries, including Oxford Dictionaries, the online dictionary from Oxford University, as well as the Cambridge Dictionary tend to focus on the modern usage to terms and their respective meanings. Both Oxford and Cambridge also have other editions of their dictionaries which cater to niches, such as specific education fields like law, medicine, etc. They also have editions and versions that focus on translations and other languages, such as a Spanish dictionary and a English to French dictionary. We should have an Oxbridge Dictionary.